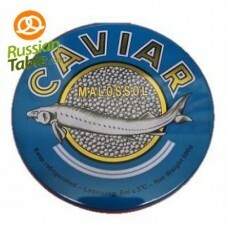 Caviar is a very famous delicacy, which is often associated with gourmet cuisine and high price. It consists of the salt-cured roe of a sturgeon, which can be fresh or pasteurized. The pasteurization reduces the culinary and economic value but it’s difficult to keep this product fresh for a longer time. The term caviar originally refers to roe from wild sturgeon from the Caspian and the Black Sea but nowadays it can be used to describe also the roes of other species, such as salmon, steelhead, trout, lumpfish or carp. 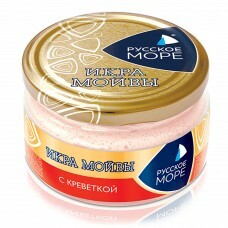 Russian caviar became very popular. 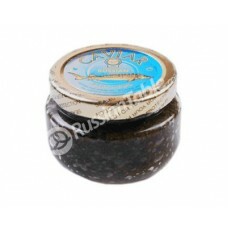 Nowadays we can find many sources of caviar and also many different types of this delicacy. The two main caviar categories are black and red caviar. This categorization is based on the color of the roe. The rarest and priciest black caviar is from beluga sturgeon, which lives in the Caspian Sea, but there are many other popular types of caviar. Sturgeon caviar eggs are pea-sized and there are glossy and clear. The color can differ from light silver-gray to black and the taste is creamy almost buttery. This caviar is considered the highest premium grade available. Another black caviar is from paddlefish, which is very popular in America and is considered the cheaper version of sturgeon caviar. Red caviar is made from the roe of salmon, trout or cod and it’s a popular part of Russian and Japanese cuisine. 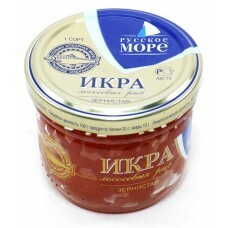 Various species of salmon have always been common in the north of Russia and therefore the red Russian caviar became a very popular delicacy in Russia but also in other parts of the world. These eggs have the medium size and their color can be orange to deep red. This salmon caviar represents the most common substitute for the more expensive and popular sturgeon caviar. When serving caviar we should remember that it should be always served cold and preferably in a non-metallic bowl filled with ice. Serving caviar in silver or metallic bowl is considered a sin because of the oxidation, which can ruin the taste of caviar. The most traditional way is the usage of a spoon made of mother-of-pearl. Caviar should never be frozen because it can become mushy. Caviar always was and still is one of the most popular delicacies all over the world and Russian caviar reaches the highest quality. So don't hesitate to treat yourself with this salty and delicious meal.